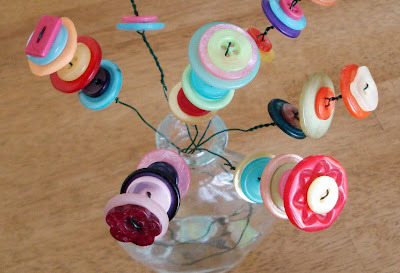 I have a new love for beautiful buttons!! I want to start a button collection! Why?! I don't know why! I just want to fill up a bunch of glass jars, line them up by color, and just stare at them in all of their bright & colorful glory!! I have recently found a great button supplier in the UK. They are all made and dyed by a bunch of women and they are gorgeous! Better than any buttons I have found locally! I can't wait to buy a whole bunch a use them in all of my crafts.